HARRIS COUNTY, TX (KTRK) -- Authorities have released new surveillance video showing two men accused of breaking into a building in Old Town Spring and setting it on fire. It happened in the 200 block of Midway in October. The newly released video shows a man in a hoodie inside the coin shop walking around with what appears to be a flashlight. Then a fire breaks out. The video also shows the second suspect through the window. Three businesses had extensive damage and most of it was concentrated on a coin shop. 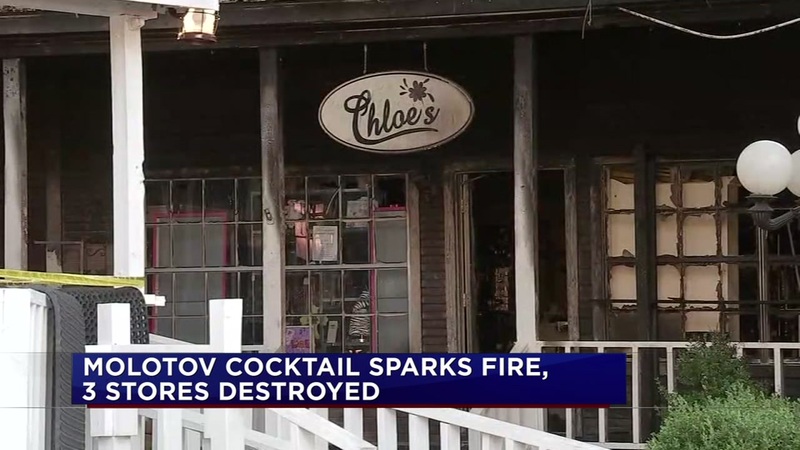 The owner told ABC13 he was inside his shop cleaning up from an apparent burglary when he says a Molotov cocktail was thrown though his window. Three businesses have been heavily damaged by the fire, and the owner of one says he knows what started it.